A website is one of the most fundamental marketing tool for your business in today’s times. We are living in highly competitive times and it is not easy for a small business to survive. Things have changed and so has means of marketing. A small business cannot afford to spend huge amount of money just on advertising. Print ads, radio commercials and television ads are too costly and most of the times beyond the budget of a small business. Definitely there are many means by which you can get business but nothing is as effective as a website, particularly in today’s times. A website can be developed at a much lesser cost and has far more reach than any other medium. Once you get a website it is important that you display your contact number, email id and address so that the user can reach you easily. A better idea is to have your contact number at the top right position of website or it should be placed at a position on web page where it is easily visible. Having your contact number on the home page makes a lot of difference as many users do not go to the contact page of website. Having a contact form on your website is also very important as many users prefer to communicate through email. Do make sure that you contact form is working. Do include your email id, contact number, and address on the contact page of your website so that users find it easy to reach you. Having your address map on the website is also very useful for users looking for your address or location. If a small business keeps these above tips in mind and implement it correctly on the website it can bring them a lot of potential leads and clients. It gives me immense pleasure to announce the release of my new hindi romantic song “Kaisa sama hai” on youtube. This marks my beginning as a singer and music composer. It has been my long cherished dream to make my contribution in music. I have been engaged in my career as website designer for almost a decade. Music has been my passion since child hood and now i feel really grateful to almighty that my dream of making my own music album is realized. The music of the song Kaisa sama hai has been composed by me. I have written the lyrics of this romantic single song. As a singer and composer this is my debut song and i hope it will reach to maximum people. I hope the audience appreciates my music and gives maximum love and affection to this song. This song is romantic number and comes straight from my heart. I will be releasing my new song very soon so stay tuned. Also i will be putting more information about my music on my website www.abhisheksing.in. The website is under development and will be live soon. Website Design and development for Meetaskitchen. Meetaskitchen is an online food delivery website based on e-commerce. You can order food directly from the website. Payments can be made directly to the website with debit cards and credit cards. Cash on delivery option is also available. The client needed a website that would work for them to take take orders directly from website and work as an online kitchen for the customers of nearby areas. It has been a while since i haven’t updated my portfolio section. I have added a few more websites to my portfolio section. This is an e-commerce website which sells traditional Indian food items. This website was created for Mr. Sunil Kumar and company. The company provides services for marriage registration, court marriage, marriage certificate etc. GS Foods deals in exports of indian food products all across the globe. Next Gen Life Sciences works in innovative solutions in biological products and services for the life science research and diagnostic market. Shree Trading is a leading export house and leading exporter of agri-products / commodities. I have been making websites for a good period of time. From my experience i have learned that on should avoid some common mistakes while making a website. Please read on..
Avoid Flash: Although i love flash and being a web designer it is the best tool to show my creativity, i have reduced the use of flash on websites as many handheld devices like smartphones, ipads do not play flash movie. And if you want to play it you either need to install a different browser or plugin. Most people don’t take such pains and would easily miss out the information that you put on flash movie. Don’t Use Lengthy contact forms: People generally avoid filling up a lengthy contact form a contact form should be precise. But if your requirement is such where every details are important you may go otherwise. Keep your website navigation simple: The important pages of website should be easily accessible to a user and the navigation should not be complicated. It is good to have your links in text form as it can be more easily read by search engines. Images should be optimized: The images on your web page should be well optimized with proper alt tags and naming. Content:The content on your website should be informative and precise. Avoid audio or music: Do not use audio or music that plays automatically when the website loads as it can be annoying for website visitors. Avoid Pop Ups: Personally as a user i find pop ups quite distracting. Specially on small devices like smart phones these pop ups cover up the whole screen and it becomes really difficult to get rid of them. Use a pop up only when required . Permanent pop ups are big turn offs. Spelling Mistakes: Always use a spell checker when writing content for website. Spelling mistakes leave a bad impression on your website visitors. How to transfer your existing domain from current domain host to another domain hosting company. First apply for domain transfer on the new domain hosting companies website where you want to transfer the domain. Your domain should be valid and already registered with another registrar. The domain transfer is usually completed in 5-7 days time. Time and again the debate of whether to for a responsive web design or not has been discussed by various web design experts. 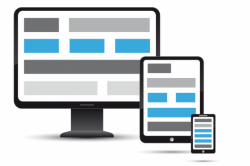 Many existing websites have upgraded to responsive layouts to enhance user experience. As the number of internet users of mobile devices is increasing, more emphasis is being given to responsive websites. A responsive website is also said to be given more preference by search engines like google and according to latest google updates it can be a crucial ranking factor. Responsive websites will become the norm in future and any website that is still following the old design will need to upgrade to responsive. If you are not sure about how your website looks on different devices you can check this tool or go to website url . In case you are going for a new website do not neglect the factor that the design of your website should adapt to all screen sizes to enable good user experience. Google is about to launch one of the smallest computers. 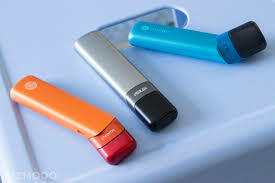 This computer is a plug and play device on stick with android as operating system. This is a joint collabration between the internet giant google and asus. Domain registration is the first step towards website designing. When you think of designing a website you need to book a domain name of your chooses and buy web hosting from a reliable web host to launch your website. Being in this field for several years i have used services of several domain registration service providers. Given below is a list of some of the best service providers in this business according to me. providers. The domains can be booked instantly here with online payment. Godaddy. Another big player when it comes to domain and web related services. Go daddy has a world wide reach. Offers good customer support and solutions for domains registration web hosting and email service. Rediff: Rediff has been providing domain registration, web hosting and email services for a long time in india. Whois.net: Want to check availability of domain or more info about the ownership and other details. Solutions for shared hosting vps hosting, ecommerce hosting, linux and windows hosting. WordPress.org. Want to host your wordpress website. WordPress.org has customized solutions for hosting a wrodpress blog or wordpress cms website. Hostgator. A well known name world wide for web hosting and domain related services. How to configure your domain for google apps? When it comes to best email solutions, there is nothing like gmail. Among plethora of email service gmail is one of the best. If you want to use the reliability of gmail for sending and receiving emails in a professional way then google apps is for you. Google apps was a free service till few years back and it offered ten free email accounts on your domain. Things have changed now and google apps has become paid. But the paid mail is worth every penny as it is very much reliable, no space constraints like filling up of mail box as it happens when you use your local hosting providers email service. Also sending and receiving of mail is most reliable. Many a times when using other email services emails are not delivered or received 100% of time. Such issues hardly arise when using google aps. The best thing about google aps is that you are using your own domain for sending and receiving of emails which is very professional and ideal for any business. How to configure your domain for google aps? In order to start using google mail service for your business first you need to have a domain. You can have an existing domain or purchase a new one when you sign up for google apps . The registration is quite easy and takes only a few minutes. You need to fill all the valid information while signing up. Once your account is set up you need to verify your domain by either uploading an html file or including a code on your website. 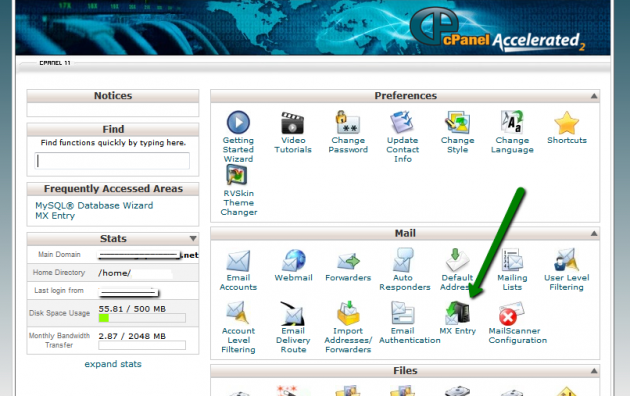 Once your domain is verified you need to change the mx records of your website through cpanel and insert the mx records of google. Delete any other previous mx records and update with google mx records. After completing this step your website is ready to start sending and receiving emails. Make any number of accounts as desired and start using professional mail service without any hassles.